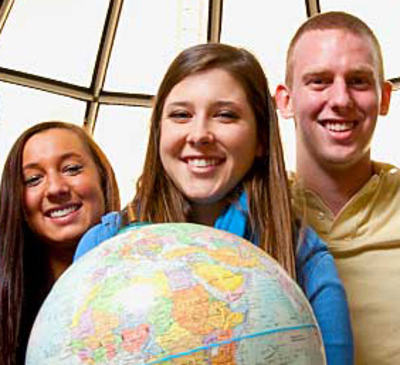 "Class of 2013 Gift -- Endowed Study Abroad Scholarship"
This scholarship will be awarded to a Bryant Student who has a minimum 3.0 cumulative GPA, and has the financial need for study abroad. The Class of 2013 Endowed Study Abroad Scholarship will be awarded every year from 2016 onward to one or multiple students. This gift is an amazing tribute to the efforts and generous spirit of the class of 2013.